So what do you do to prevent drainage blockage? You’ll need to call the services of drain cleaning professional to perform regular cleaning. While that sounds easy, we’ve heard of homeowners who got frustrated by drain cleaners who ruined the entire drainage system. Therefore, to ensure that your drainage system is in reliable, and professional hands, you need to choose the right company. 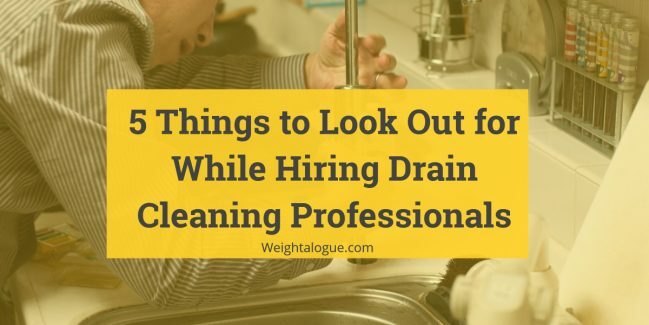 And in this article, we shall explore at the top 5 things any homeowner should always look out for when hiring a drain cleaning professional. Licensing should be the first thing to consider when hiring a drain professional. If you live in the US, for instance, every state has various license requirements for the drain cleaners. In most cases, drainers usually get a license after clearing a particular exam and the apprenticeship requirements. This means hiring a licensed company will afford you the services of a firm that is knowledgeable, and has the confidence of handling any blockages, sewers, pipes or any drain issue requiring maintenance. Beyond verifying on their skills, licensing is in many cases accompanied by an insurance cover. Remember, if your drainage project goes wrong and you’ve been using an unlicensed company, you’re not bound to make any claims or get any compensation from your provider. Above everything else, always keep in mind that your family’s health is only secure if you hire professionals who are qualified. Sure, having a license is an indication that you’re skilled and knowledgeable in block draining. But licenses and certificates can only take you so far; you’ll need the right experience to provide quality services. Remember that experience is not achieved in a short period, but instead, it takes several years, takes a lot of effort and a lot of hard work on the part of the professional. While most newbies will handle the general tasks, an experienced professional has seen it all and will tackle even the most complex assignment and anything that the condition throws at them. Plus, it’s nearly impossible for an experienced company to stay afloat in business for so much longer even after repeated failures-it shows they’re good at what they do. In light of what we’ve discussed above, experience, in most cases, generally refers to the number of years a company has been in the industry. However, there’s absolutely no reason for hiring an “experienced” drainage company, if they do not have a previous service record or cannot show some of the already carried out drainage projects. Their existence is negated by the fact that they have nothing to show of what they have done. Provision of references is necessary as it shows the company can get things done in the right way. If a company fails to provide you with a list of references, you should start looking in another direction, and this should be regardless of its facilities and options. It’s a shame that most of the household issues often go hand in hand. 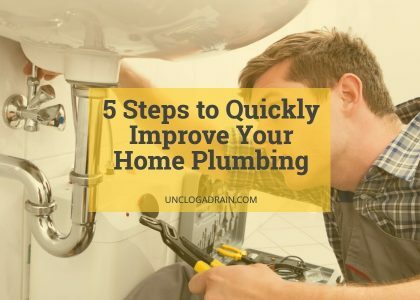 For instance, if you have a blocked system, you’re likely to find that part of your plumbing system is faulty and you’ll need other drain cleaning services such as a rooter and drain cleaning, water filtration services, trenchless pipe, and sewer repair and repair replacement in your entire household. In a nutshell, I would recommend that you choose companies that are multifaceted, instead of a company that only specialized in a single task. This way, you’ll be saved from the long list of occurring plumbing and drainage issues, and that all your issues are resolved through a common window of operation. Agreeably, no price can be compared to the health of your family. However, it does not mean that you need to settle for the most expensive drainage cleaning company. In any case, a higher cost does not always translate to quality services. On the contrary, however, it does not mean that you’ve to go for the cheapest service provider. In most case, cheap providers will always provide you with cheap services. The trick here is to strike a balance between cost and quality: find a drainage cleaning service provider that is within your budget, but most importantly, chose a provider that will cater to your drainage blockage needs efficiently. 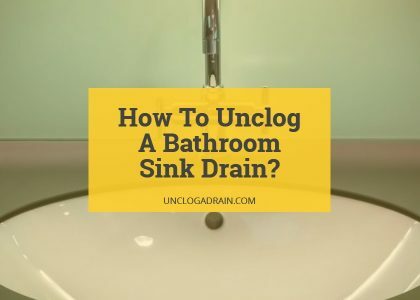 As you’ve seen, all the tips above are somehow intertwined, and therefore, you’ll have to follow each one of them to the letter, if you’re to choose the right drainage cleaning company.